This was my entry to the George Shaw competition run by Coventry's Herbert art gallery in conjunction with Shaw's exhibition there. 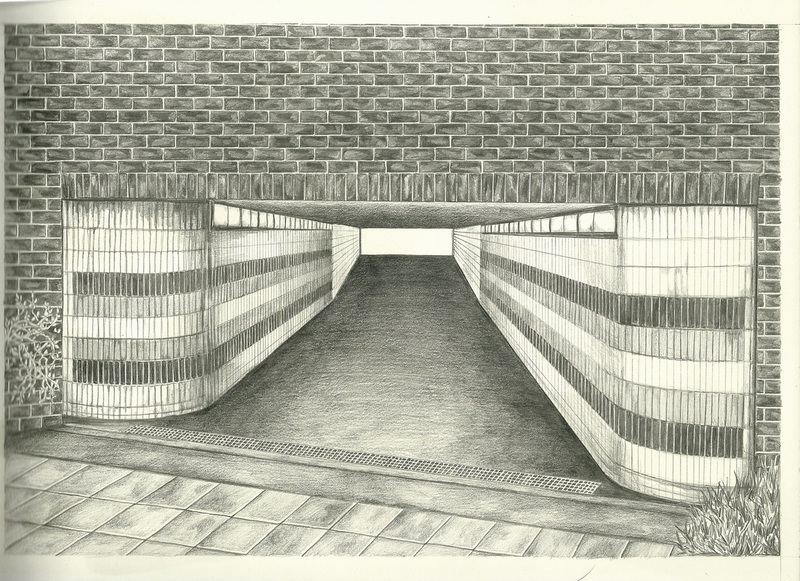 The brief was to create an image representative of Coventry, I chose to create a mechanical pencil sketch of an underpassage in the city. To me Coventry has a slightly labyrinthine feel with lots of covered walkways and hidden parts and I felt this represented that well.